Just thought you'd like to know, my wife and I totally enjoyed your performance at Havelock. Just like the real thing. I just wanted to tell you how much I enjoyed your performance at the Havelock Jamboree this past week. I ws in my motorhome making a coffee to take to the field when you started your performance. I got goose bumps and a chill when I heard you singing. It was like Waylon was there himself. You were magnificent! Just wanted to tell you that we were at your show last week and you were unbelievable! 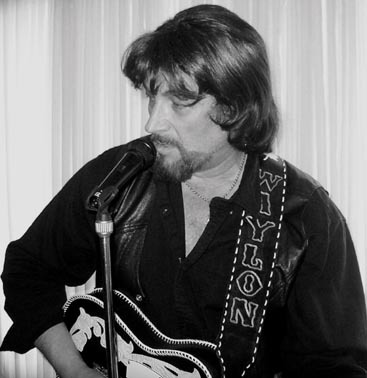 Your tribute to Waylon gave us all goosebumps. You have captured his mannerisms and looks perfectly. Be sure to sign the guestbook! Site Design Copyright © 2013 Computer Tech CD. Images and Content Copyright © 2005-2013 Robert Gill. My sincere thanks to all new friends and fans ! 2005 Calendar now under development and I look forward to seeing everyone as the year unfolds! Agents: Please contact for updated promo kits and to arrange appearances before my calendar is filled! Thanks! !